The Northern Capital was the only Russian city to make the list this year. 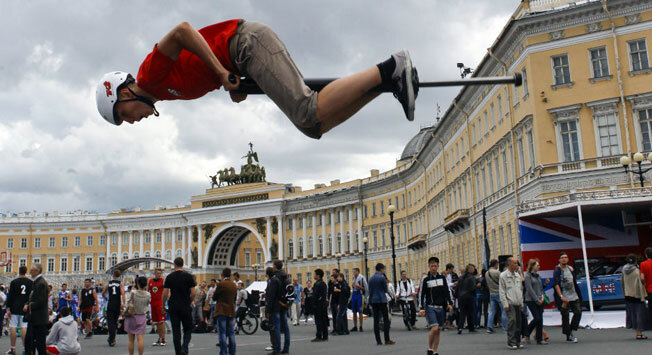 RBTH introduces apps for modern gadgets and devices that may be indispensable for foreigners who visit St. Petersburg. St. Petersburg has made it into TripAdvisor’s destination rankings for the first time ever, being named the 20th most desirable tourist destination in the world . The Venice of the North beat out its fellow Russian competitors – Moscow , Yekaterinburg , Kazan and Sochi . Here’s how cities ranked around the world:1. Paris 2. New York City 3. London 4. Rome 5. Barcelona 6. Venice 7. San Francisco 8. Florence 9. Prague 10. Sydney 11. Berlin 12. Istanbul 13. Bangkok 14. Chicago 15. Tokyo 16. Cape Town 17. Rio de Janeiro 18. Buenos Aires 19. Marrakech 20. St. Petersburg 21. Beijing 22. Shanghai 23. Siem Reap 24. Chiang Mai 25. Queenstown, New Zealand. “St. Petersburg is a fantastic destination for travelers, with so many places to eat, stay and play,” said Julie Cassetina, a spokesperson for TripAdvisor . Russia Beyond the Headlines would like to congratulate the Palmira of the North and invite readers to take in this amazing city with us.